New. Trade paperback (US). Glued binding. 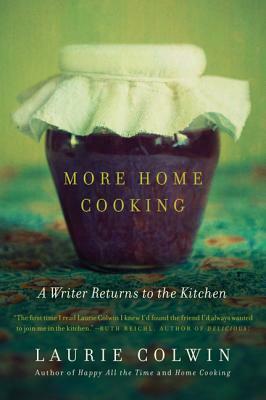 221 p.
Laurie Colwin's More Home Cooking contains a series of intriguing essays ("The Case of the Mysterious Flatbread" and "The Once and Future Dinner Party," for example), along with information one can truly use ("How to Make Yogurt" and "About Biscouts"). I loved all of Colwin's novels and they led me to her writings on cooking. The late Ms. Colwin is truly a treasure. Laurie Colwin is a great writer. Her prose are succinct and you can really identify with the things that she says. She brings home cooking to the forefront. Hooray for this and her other books.